This is the perfect eye for a night out. Wear a bold gold eyeshadow, and pair it with a black smokey eye effect. This makeup look is daring yet chic. 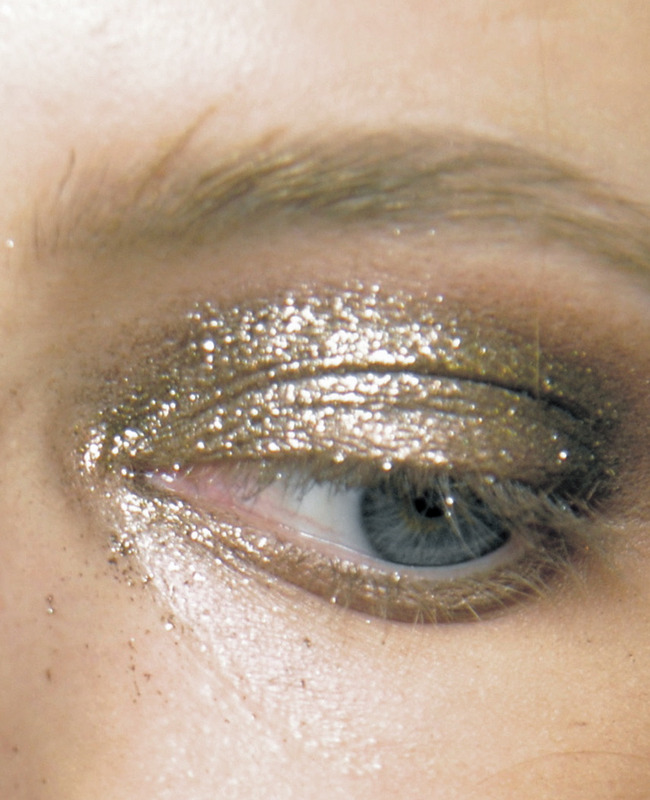 For a more subtle look, Gigi goes for a metallic silver eye, with a bronzed effect on the outer edges. Going for a full on metallic lip can be a little bold, so if you are more on the softer side: try a shimmery gold lip gloss for a radiance effect. Try some bronzed eyeshadow for a glowing summer-like look. A silver eyeshadow can enhance your eye color and give out a glimmering effect. Previous Post Previous post: The Naked Selfie: Empowering or Provocative? This trend is such a good one! I love seeing everyone’s metallic lips and it feels like an easy way to add excitement to a look! Ahhh!! I love metallic shades. Also, but I don’t know hwy shimmer makes me look aged. Anyhow, loved the post. pictures are just faboulous. You’re most welcome. I hope I do, any suggestions? I’ve been really loving two products: Charlotte Tilbury’s Colour Chameleon Eye pencil and the Nars Dual-Intensity Eyeshadows. They are a little bit on the pricier side, but I would say they are worth it. Hope that helps! I see. The price doesn’t matter if the quality is good. Thank You!